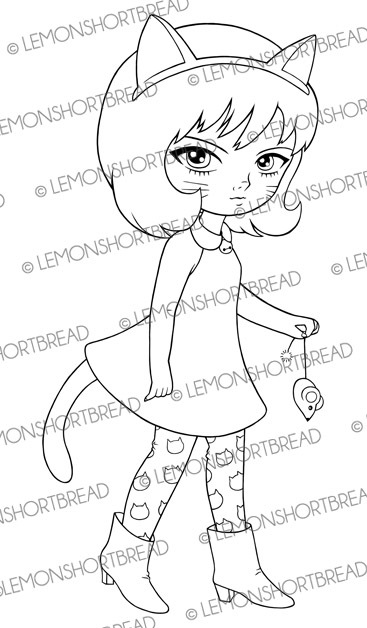 New digital stamp "Cat Girl and Mouse", if you are a cat lover, this may be perfect for your crafts! I wanted her to be mod-styled and a bit nonchalant. 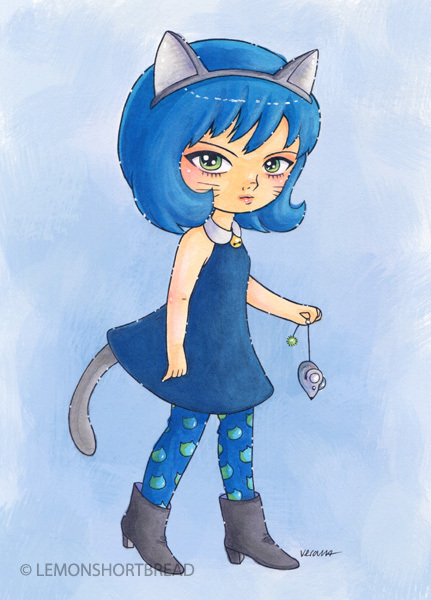 May do a cat-burglar type next! I am currently working on a doggie digi. The above artwork is an example of it printed on inkjet then coloured with markers and pastels, with background added in Photoshop.